We are Opportunities4All, a social action campaign run by participants of the Cardiff Uprising 17-18 programme. Our members passionately believe that all young people should have equal access to local opportunities, skills and experience. We are a group of several individuals that have a common interest in seeing young people receiving the opportunities that they deserve to develop their skills and life chances. We have identified a lack of public information and knowledge on various youth schemes in Cardiff, the type of schemes that improve transferable skills – potentially damaging the supply and demand of opportunities. There is also a general issue that opportunities are often communicated by word of mouth or on individual organizational platforms: this hinders the equal access to opportunities. Our members passionately believe that all young people should have equal access to local opportunities, skills and experience. Another concern we have is that young people often do not fully understand what transferable skills are needed for the world of work. There is often too much of a focus on general and higher education qualifications. The world of work today is far more competitive than it used to be for the generations that came before and it is far more difficult for the youth of today to find employment. There is naturally an assumption while at school that qualifications alone will get people the job they desire – this is not the situation that young people face when applying for jobs in a competitive market. One key service that is not being provided in terms of addressing skills is that no one is giving clear and relatable reasons to young people about why they should be taking on skills-based extracurricular opportunities. There are still some negative perceptions around experience and skills training, with people focusing on GCSEs, A-levels and degrees. Young people often feel disengaged with the current system that simply tells them what do but does not give them a reason why to get passionate about building skills. Opportunities4All has several key aims and objectives. 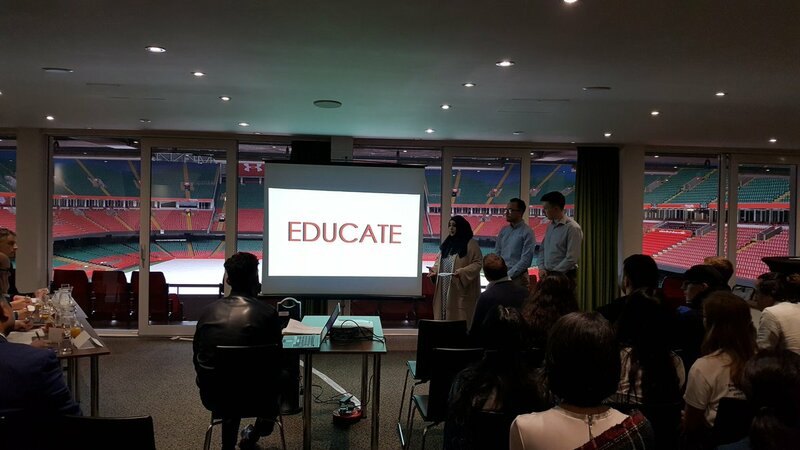 Our principal aim is to find out young people’s views about experience and opportunities in Cardiff, and what areas around employability they struggle on the most (this is mostly a campaign to DISCOVER personal views and experiences.) Once we have developed our understanding of young people’s views and perceptions, we will then EDUCATE, by raising awareness about how important skills-based extracurricular activities are, providing tips and tricks for applying for jobs, and challenge an overall apathetic attitude within the youth with regards to skills and experiences. Essentially, we want people to be more aware of the skills that will help them in their journeys into and through the world of work. In addition, we aim to SERVE the youth of Cardiff by promoting and sign-posting local opportunities. We have created Facebook and Twitter pages which aims to raise awareness and signpost opportunities with a local/Cardiff focus. Our pages provide facts about the importance of opportunities, helps promote our educational content and to communicate with our key stakeholders. We have created a questionnaire for anyone between the ages of 16 and 25 to answer, with questions on key themes such as personal CVs, the usefulness of work experience placements and views on local youth opportunities. Your answers to this questionnaire will help us to discover how much awareness exists within the youth, and how we can better promote worthwhile skills and opportunities. We will publish our findings via TheSprout and share our findings with key stakeholders. There is also the opportunity to be entered into a prize draw at the end of this questionnaire. Personal data (data that is identifiable) will be kept secure, and will not be shared with third parties. Our questionnaire can be found here. This is your chance to have your say on the provision of local opportunities and on employability issues faced by the youth!